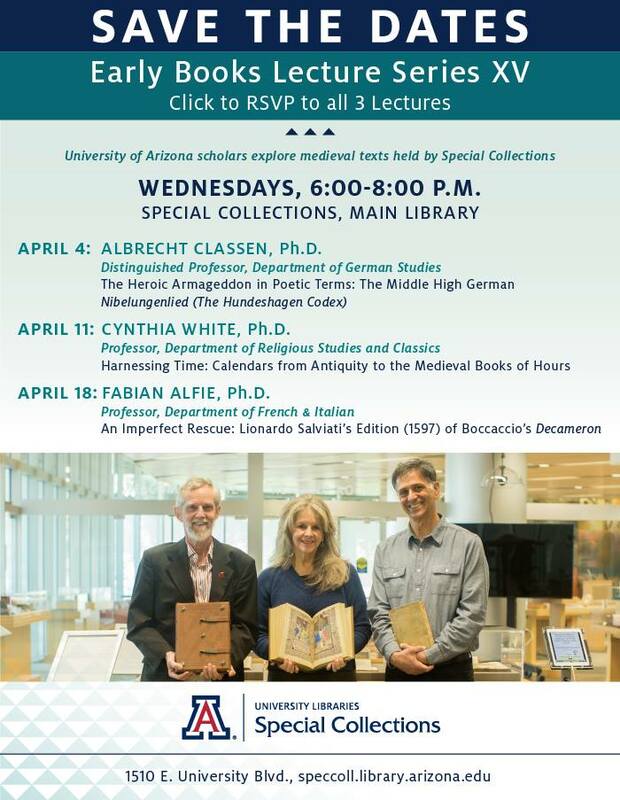 As in the past, a group of UA professors lead by my husband UA Distinguished Professor (and recently knighted) Albrecht Classen, will introduce famous medieval manuscripts held in the Special Collections library at the UA. Now in its 15th year, this lecture series is open to the public and focuses on book masterpieces from the Middle Ages. Be dazzled and stunned by the beauty and relevance of these books to today, 2018. This year my husband who founded this series, will be joined by Professors Cynthia White and Fabian Alfie. 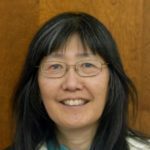 To RSVP for all 3 lectures go to the website: http://speccoll.library.arizona.edu/events. By the way, yesterday’s article was my 1000th one here at Blog for Arizona, since 2/11/14. Time to celebrate. About 40 people were at this first lecture, in which my husband reviewed the history of the Niebelungenleid epic German tale, then compared it to the 1882 Die Fusse in Feuer, in which a Lord forgives & spares a visitor to his castle (who had killed his wife 3 years prior). Everyone including hero Siegfried die in the Niebelungenleid as they all sought revenge through extreme hatred and killing.Nazi Germans also used images of Siegfried into the 20th century for their propaganda. Don’t miss the next two talks of this series. First of this 3 part lecture series tonight, featuring my husband, who has published 95 scholarly books, mostly on the Middle Ages. Don’t forget to RSVP.